Compacted shorter goat hair and longer synthetic hair arranged sparsely to remove excess product, buff products into the skin, and work with mixed texture products from liquid to powder. Sheer and light foundation cover. Great for applying lighter products like tinted moisturisers. 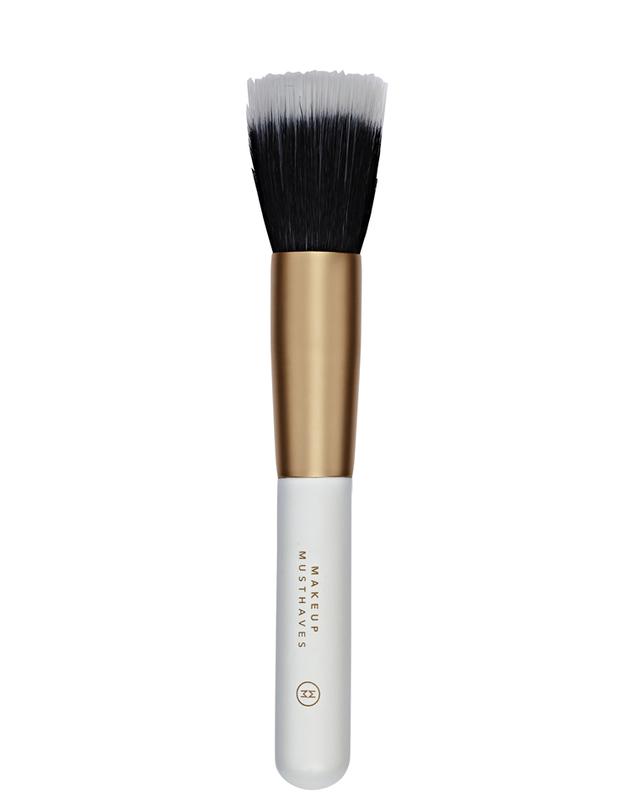 Dot your foundation or tinted moisturiser all over the face and use the brush in circular motions to buff the face. If you have applied a lot of foundation and feel it may be a little too thick, buff gently over your face with this brush to soften and take any excess product away. This brush can also be used with powder, tap brush and dust gently into the T zone ensuring it is hardly visible. This will provide a matt finish and help set and control any shine.